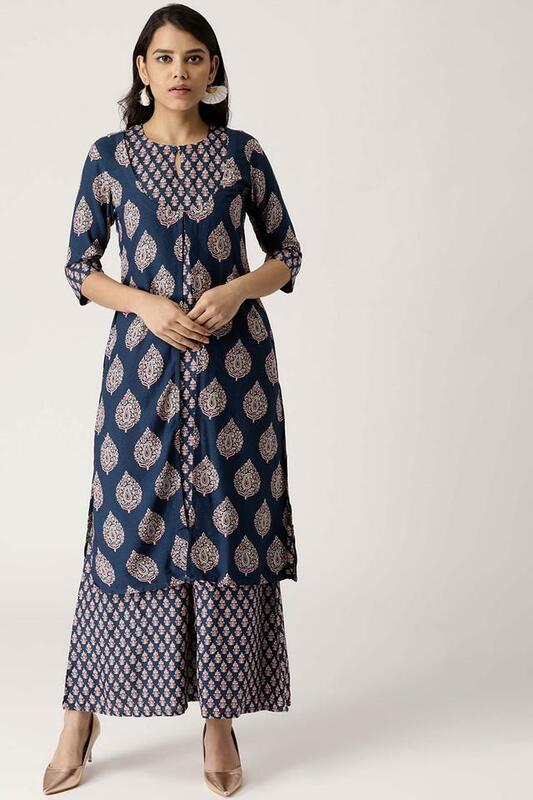 Rev up your ethnic look by wearing this beautiful kurta and palazzo set from the house of Libas. 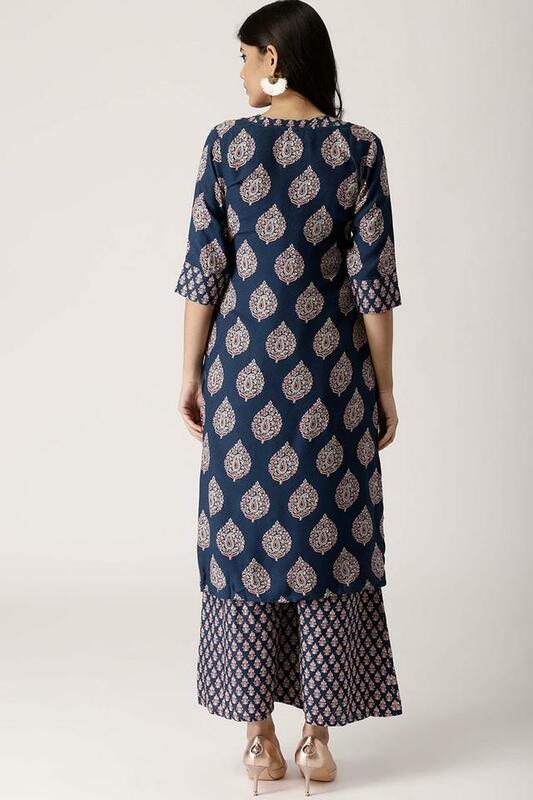 Its kurta comes with an exemplary printed pattern, key hole neck and three quarter sleeves that lends it an elegant look. Besides, the palazzo is replete with classy printed pattern, which elevate the overall design of the ensemble. Opt for casual simplicity with this kurta and palazzo set. Create a sophisticated style by teaming this set with a pair of strappy sandals.